“Still Life with Mandolin,” a 1950s painting by Alma Thomas is on display at the Georgia Museum of Art. Women artists make up only 3 to 5 percent of major permanent collections in the U.S. and Europe, according to feminist artist Judy Chicago. Southern artists are also underrepresented, and work by Southern women artists is rare. The exhibition “Central to Their Lives: Southern Women Artists in the Johnson Collection” features 42 works by Southern women artists and will make its debut at the Georgia Museum of Art at the University of Georgia. On view June 30 through Sept. 23, it focuses on works by women who worked throughout the South between the late 1880s and 1960 and is organized by the Johnson Collection of Spartanburg, South Carolina. “Art is central to my life. 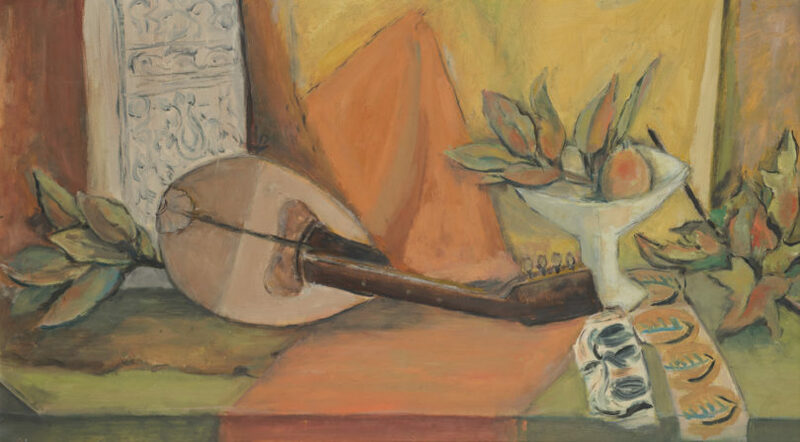 Not being able to make or see art would be a major deprivation,” said Nell Blaine (1922-1996), one of the featured artists, whose quote supplied the title for the exhibition. The Virginia artist painted from a wheelchair after suffering from polio, and whose name is not well known now. A sculpture by Augusta Savage is part of the exhibition “Central to Their Lives: Southern Women Artists in the Johnson Collection” on display at the Georgia Museum of Art June 30 through Sept. 23. 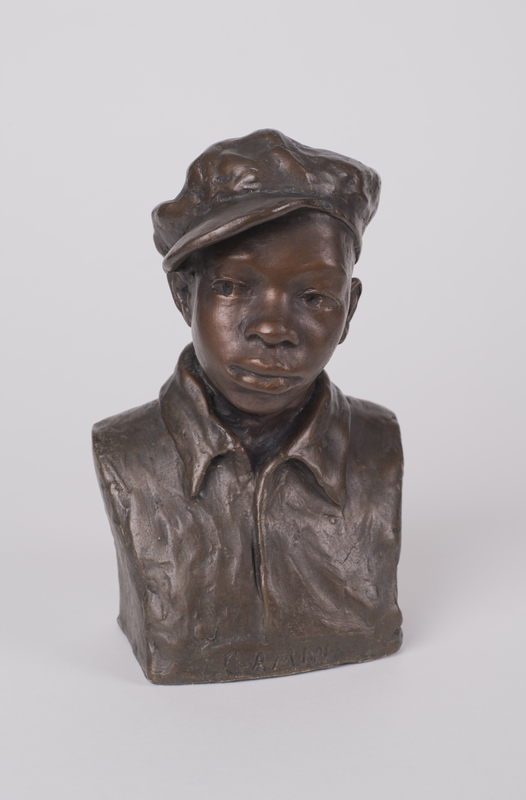 “Central to Their Lives” features sculptures, drawings and paintings by artists such as Minnie Evans, Anne Goldthwaite, Clementine Hunter, Nell Choate Jones, Ella Sophonisba Hergesheimer, Alma Thomas, Mary Leath Thomas, Augusta Savage, Elizabeth O’Neill Verner and Kate Freeman Clark. The exhibition takes time to highlight the story of each. Clark, for example, signed her paintings “Freeman Clark” to disguise her gender and never sold any of her work in deference to her mother, who strongly disapproved of ladies conducting business. Savage left her small Florida hometown with only $5 in her pocket, attempting to escape prejudice and poverty. She became a leading figure in the Harlem Renaissance, where she served as a teacher and mentor to important African-American artists of the postwar era. Thomas, born in Columbus, Georgia, only began to paint seriously after she retired from 38 years as a public school art teacher in Washington, D.C. She was also the first African-American woman artist to receive a solo exhibition at a major national arts institution. William U. Eiland, director of the Georgia Museum of Art and a strong proponent of this project, said this exhibition is a collection of works by prominent or preeminent, but neglected, Southern women artists. “I’m most excited that, in addition to the exhibition itself, there is a catalog, and that the exhibition and the catalogue will spur further research on a neglected and too often forgotten group of artists from the South,” he said. In conjunction with the exhibition, the University of South Carolina Press has issued a companion publication of the same name in which several notable art historians offer insight on the achievements of these artists. Each artist faced different challenges but all of them faced the challenge of being a woman artist during a period in the history of the American South in which women’s social, cultural and political roles were changing and being redefined. The catalog includes a substantial index of thousands more works by Southern women artists. The exhibition is sponsored by the W. Newton Morris Charitable Foundation and the Friends of the Georgia Museum of Art. Sarah Kate Gillespie, curator of American art at the Georgia Museum of Art, is the in-house curator. The Johnson Collection is a private collection that focuses on southern art and collaborates with institutions of higher education. The exhibition will also travel to the Mississippi Museum of Art, the Huntington Museum of Art, the Dixon Gallery and Gardens, the Gibbes Museum of Art, the Cummer Museum of Art and Gardens and the Taubman Museum of Art. Related programs include 90 Carlton: Summer, the museum’s quarterly reception ($5, free for museum members) on July 20 at 5:30 p.m.; a film series beginning July 12; a Family Day on July 14 from 10 a.m. to noon; an Artful Conversation focusing on Teresa Pollak’s painting “Art Studio” at 2 p.m. on July 18; a Toddler Tuesday on July 24 at 10 a.m. (free but space is limited; email sagekincaid@uga.edu or call 706-542-0448 to reserve a spot); and a public tour on Sept. 5 at 2 p.m. All events are free and open to the public unless otherwise indicated.